Living in Brooklyn is great, and one of the most wonderful things about the neighborhood are the small businesses that have opened. They are part of the fabric of the neighborhood that makes it interesting, friendly and in the case of restaurants and food shops, delicious. 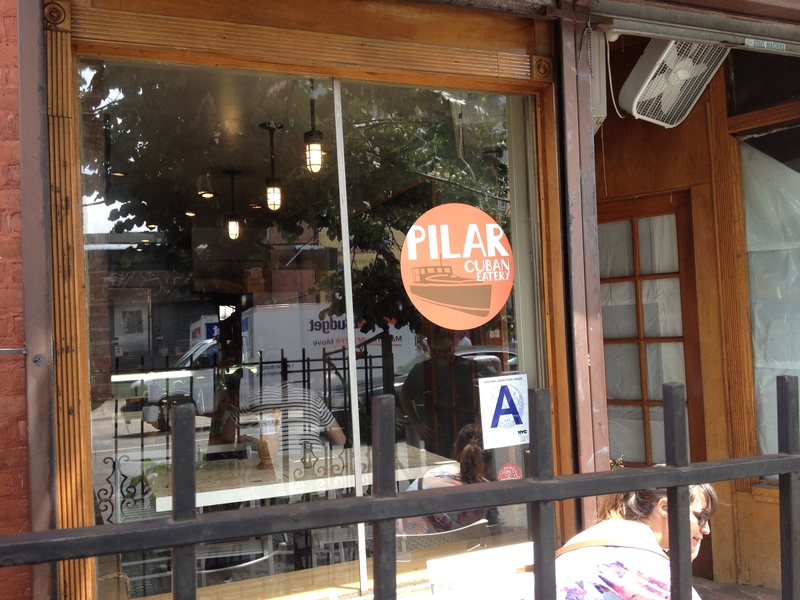 One of the restaurants is Pilar, a Cuban restaurant at 393 Classon Ave in Clinton Hill. The Chef/owner is Ricardo Barreras and his wife Lizbeth Moreno, he moved here from Miami and opened this wonderful little bistro. I am a big fan of Cuban food and a real sucker for a good Cuban sandwich and I was not disappointed, it’s really everything a Cuban sandwich should be, thin Cuban bread encasing tender perfectly spiced pork, ham, swiss cheese and pickles pressed and grilled to perfection.While waiting for my food I watched the parade of great dishes going past me and I wanted to order everything. Rice, black beans, plantains and egg (YUM), hand made empandadas, stewed vegetables and rice. Everything cooked to order, homemade and utterly delicious. 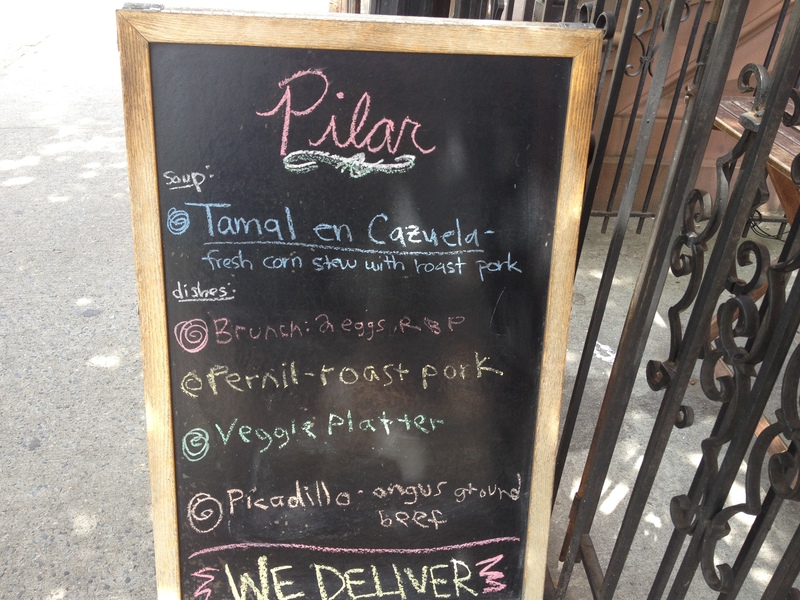 If you live in Brooklyn or are just visiting drop by Pilar and enjoy some truly delicious and authentic Cuban food. You will love it as much as I did, and they deliver!! What a great idea to promote worthy interesting businesses in the area. I have no experience of Cuban food. Your description has me salivating. Simply yummy. Thanks Karen, Cuban food is wonderful. Not spicy hot for the most part, but very flavorful. Love it! Pilar is a great little restaurant and in our neighborhood we are being taken over by fast food chains that are putting the little guys out of business it’s very sad and I desperately want to see the little guys succeed. 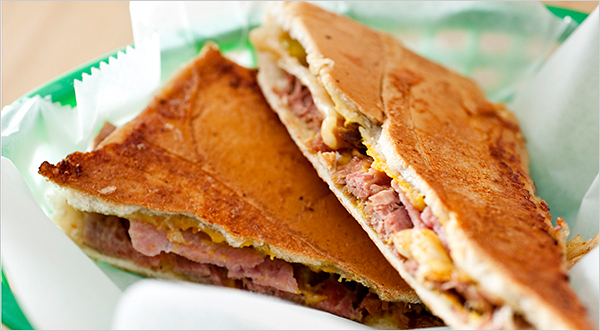 the cuban sandwich loooks so good! 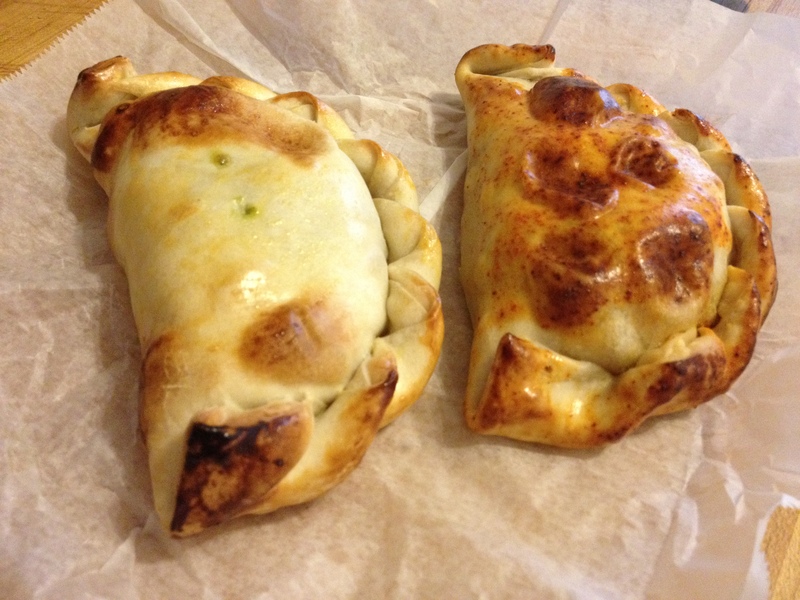 It really is delicious, bread is crispy, inside tender and so tasty. Wonderful!! Thanks so much. I know doesn’t it, makes me want another one. It was delicious!! Mmm…love cuban food too. What a great idea promoting local businesses. I mainly have fast food or pizza joints around me, sadly nothing to write about. Yum! Next time I’m out in Clinton Hill I’ll have to give it a try! The food is great, so happy there are so many great new restaurants coming here!